The Leadership Academy is an exciting opportunity for young women to grow their leadership and interpersonal skills. 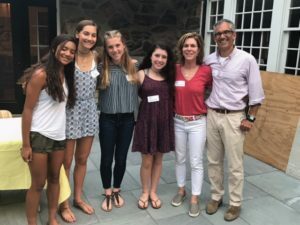 This selective program empowers female athletes to believe in their own personal leadership capabilities by providing the tools to grow in self-awareness, confidence, teamwork ability, and so much more. All of this positive personal growth happens alongside a group of fun, talented, and like-minded peers. Leadership Academy students will also have the opportunity to meet and network with female leaders in the community, attend an overnight retreat, and participant in community service opportunities. The Leadership Academy is an in-depth 10 month program for high school sophomores. The program accepts 15-20 girls each year from the Philadelphia area and surrounding suburbs. Leadership Academy students meet once monthly in a classroom setting for a 2-hour interactive session where they learn about leadership principles that will help them on and off the field. The program is designed around the 11 Ways to Live Like Blaine. Learn leadership and interpersonal skills that will make you a stronger leader, teammate and friend. 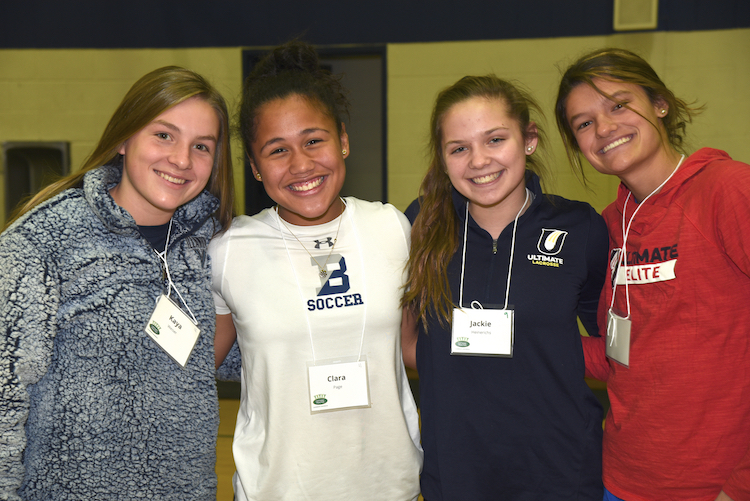 Meet other female high school athletes from different schools and make friendships that will stay with you throughout high school and beyond. Grow your resume as you start to think about applying to college. SMILE, LAUGH & HAVE FUN! Application deadline: May, 24 2019 at 11:59p.m. YOU MUST BE CLASS OF 2022 AND PLAY A HIGH SCHOOL SPORT TO APPLY. LOCATION: We are still finalizing the location, but it will be easily accessible by car, bus and regional rail. (Likely location: Manayunk). COST: There is no cost to participate in the Leadership Academy. It is COMPLETELY FREE to participants and Live Like Blaine will cover the cost of all materials, events, and travel, if needed.